“Shook! She’s alive. The Viramontes woman is back! Strutting her stuff down the runway @marcjacobs full throttle,” wrote the Instagram account @tony_viramontes_archive yesterday. True to their word, there she was – the bold, stylised woman Tony Viramontes depicted in his fashion illustrations of the 1980s, powering down the runway at Marc Jacobs’ A/W18 show in New York the evening before. The Instagram account, run by Tony Viramontes’ estate, has been cataloguing the multimedia artist’s numerous illustrations, collages and photographs since 2016. Those images, emblematic of the powerful 80s womanhood Viramontes would come to define, were evoked by Jacobs in a collection that celebrated the era’s excess. 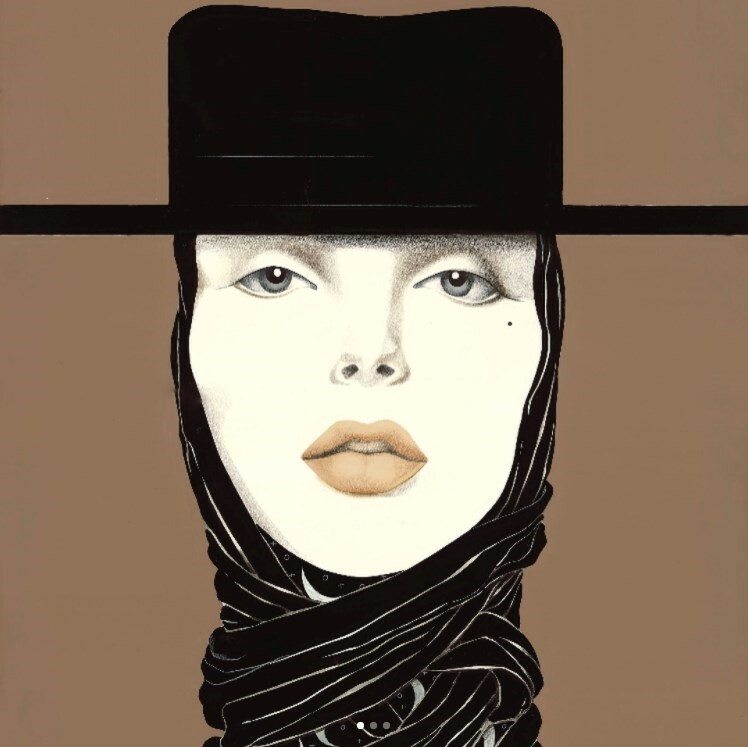 Silhouettes were supersized, colours were bold and flat-brimmed hats, created by milliner Stephen Jones, conjured visions of the matador-like power women of late Yves Saint Laurent or Claude Montana. Swirls of moire silk in jewel tones, gathered at the model’s the waists or necks – “flourishes” as Jacobs called them – were more direct references to the artist’s craft. As the designer would explain via Twitter, alongside an image of one heart-shaped twist of taffeta: “I wanted the movement of the draping to resemble the scribbly ‘hand of’ and have the energy of an Tony Viramontes drawing”. Viramontes illustrations were filled with just that, energy; his colourful, unrestrained style stood in opposition with the soft pastels used by the fashion illustrators of the decade before, and echoed the changing fashions of the era. Viramontes would draw for Karl Lagerfeld and Yves Saint Laurent, but perhaps his most enduring imagery is that created for musicians – the bold red cover art of Janet Jackson’s Control, or the neon collage on Duran Duran’s Arcadia. Viramontes passed away in 1988 at the age of just 31, succumbing, like so many of his contemporaries in the fashion industry, to the AIDS virus. The short span of his career means his work was passed by in the years after his death, but is since considered an emblem of the era in which he worked. @tony_viramontes_archive continues his legacy, remembering an artist who left us at his prime.